Want to know more about ‘A Better Choice’ but can’t make it to an information session? Why not book a phone appointment with a member of our team who will be happy to talk you through the program and answer any of your questions? Simply click the button below to book your personalised information session at a time that suits you. Why become a member of ‘A Better Choice’? 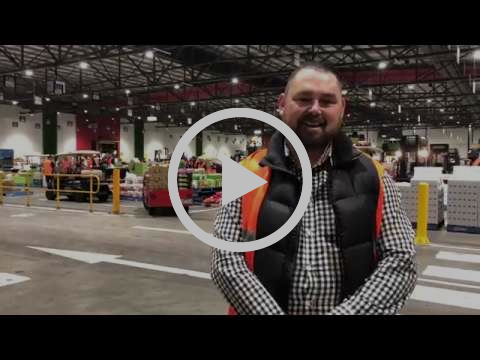 Listen to Graham from The Happy Apple talk about the benefits of becoming ‘A Better Choice’ member. Ready to sign up to the program now? Don’t wait any longer. Click the button below to complete your application form. You’ve seen work going on in shop 105, and the wait is finally over with the new Moon Bean Cafe opening last Friday. The cafe has a variety of food available from sizzling Asian dishes, sushi and salads as well as a full breakfast menu, burgers, wraps and much more. New owners Joel and Anna pride themselves on high quality food and service. Food is prepared and made fresh in the cafe daily and all produce is sourced directly from the trading floor here at the Market. This week to celebrate the opening of Moon Bean Cafe they have two great offers for customers. Updated coffee bean special: New Genovese coffee beans are now available (which are different to the beans served on the first two days of trade), purchase any size coffee on Tuesday 23 October for only $2. Free Coffee with your main meal: Order any main meal from the menu and get a free coffee! Valid every day this week until Friday 26 October. 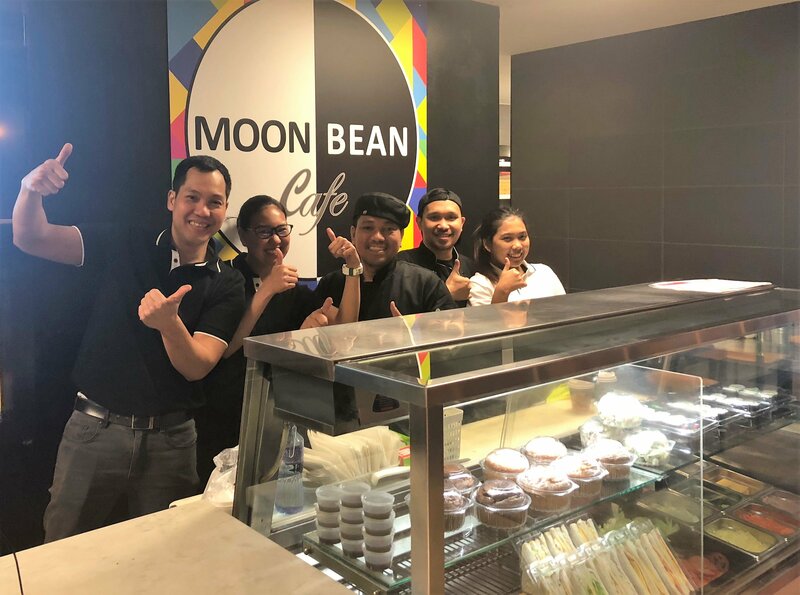 Click here to download the menu and drop into Moon Bean Cafe to experience the chilled-out atmosphere, great food and a friendly service for yourself. Yesterday, on Monday 22 October, the early buyers permit trial began. Additional Market relations officers were on duty and issued several infringement notices to businesses found to be buying prior to 3.30am without an early buyers permit. Those buyers who want to enter the Market to commence purchasing from 2.30am can still apply for an early buyers permit. Click here to download the application form. What will the $10,000 early buyers permit fee go toward? The early buyers permit is not intended to be a revenue raising opportunity for the MMA. Any revenue generated will go straight back into the industry with 100% of fees directed to the new national retailer program, A Better Choice, which encourages consumers to shop at their local greengrocer. During the September school holidays approximately 35 children visited the Market. 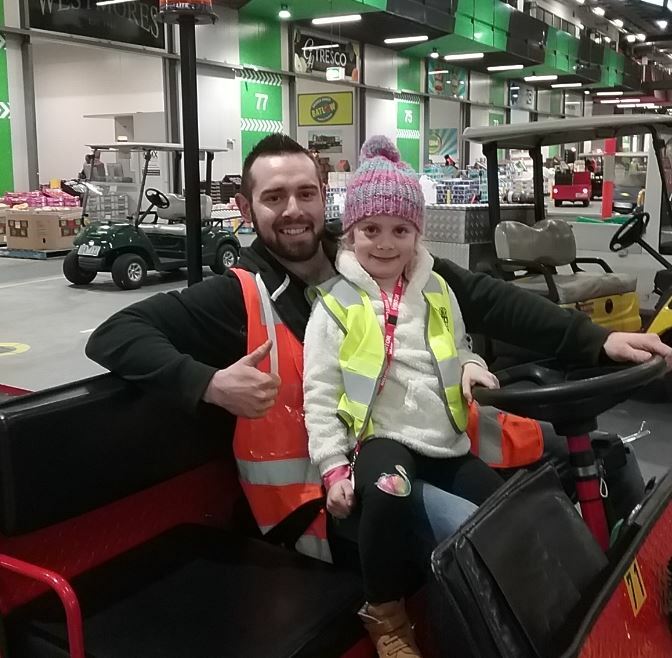 The Children in the Market events, held during the school holidays, allow families to bring their children to experience the workings of the Market and in some cases expose them to the family business they may one day be running. To see all the happy snaps from over the two days, visit the Melbourne Market website. 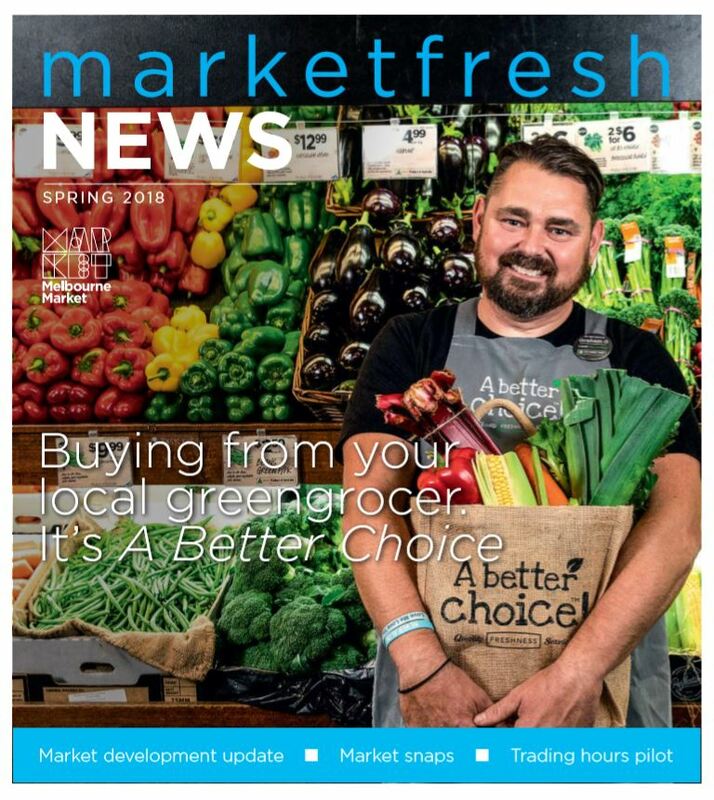 Have you got your copy of Market Fresh News yet? Read about the trading hours trial, our recent recycling achievement plus find out how you can take advantage of the United Petrol offer. I’m one of the owners at Pure Organic Harvest (store 10), we are certified organic wholesalers and sell a variety of organic produce that is currently in season. All produce is free from chemicals, tastes much better and has just as long a shelf life. I’ve been in the organic business for four years now and the demand for organic produce keeps growing. It’d have to be watermelon, mangoes and strawberries, all organic! I’d want to go and watch an NBA basketball game in America, I follow the San Antonio Spurs. 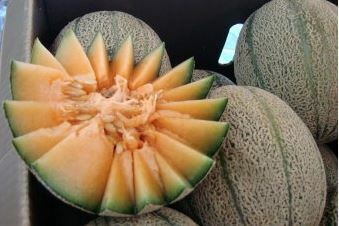 A report said the farm’s hygiene and sanitary procedures were “on par with or better than most other rockmelon-growing operations across Australia”. In her State of the Industry speech at the Produce Marketing Association (PMA), Cathy Burns highlighted how technology, robotics and e-commerce will shape the future. According to Burns, the fresh produce and floral industry will look more and more to technology to meet its labour needs, with diverse and innovative examples of labour-saving technologies from both inside and outside the industry outlined. At the same time, today’s evolving marketplace will require increasingly personalised customer touchpoints, she noted. Click here to read more on the Produce Plus website. Tropical mango madness is taking hold with fruit as cheap as $1 and claims that this year’s crop could be the tastiest on record. 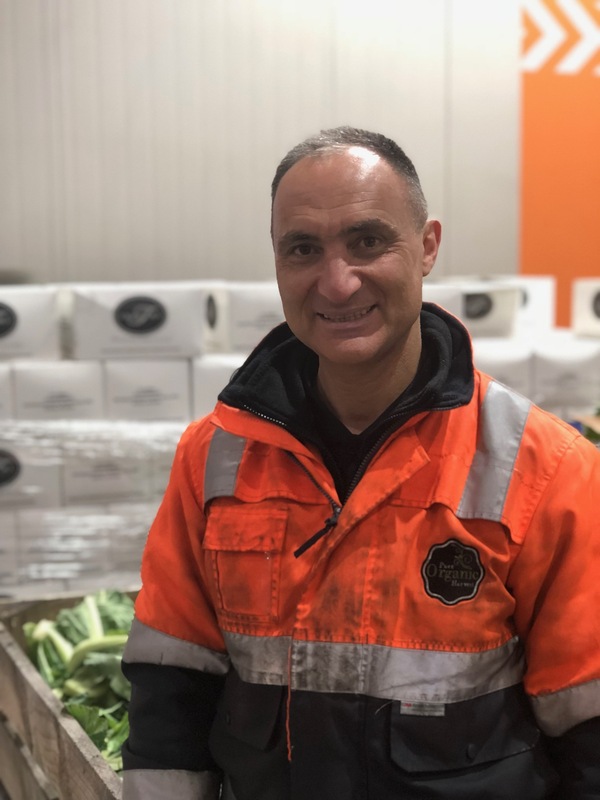 The industry is predicting about 11 million trays will come to the Australian market this year, which is almost on par with last year’s record crop. Read more on the Fresh Plaza website.